The demands of caregiving can be overwhelming, especially if you feel you have little control over the situation or you’re in over your head. If the stress of caregiving is left unchecked, it can take a toll on your health, relationships, and state of mind – eventually leading to burnout. When you’re burned out, it’s tough to do anything, let alone look after someone else. That’s why taking care of yourself isn’t a luxury – it’s a necessity. 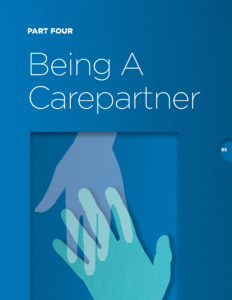 Caring for a loved one can be very rewarding, but it also involves many stressors. Caregiver stress can be particularly damaging, since it is typically a chronic, long-term challenge. You may face years or even decades of caregiving responsibilities. It can be particularly disheartening when there’s no hope that your family member will get better. If you don’t get the physical and emotional support you need, the stress of caregiving leaves you vulnerable to a wide range of problems, including depression, anxiety, and burnout. And when you get to that point, both you and the person you’re caring for suffer. That’s why managing the stress levels in your life is just as important as making sure your family member gets to his doctor’s appointment or takes her medication on time. • You have much less energy than you once had. • It seems like you catch every cold or flu that’s going around. • You’re constantly exhausted, even after sleeping or taking a break. • You neglect your own health. • Your entire life revolves around caregiving. • You have trouble relaxing, even when help is available. • You’re increasingly impatient and irritable with the person you’re caring for. • You feel helpless and hopeless. Once you burn out, caregiving becomes a health problem often both physically and emotionally for the caregiver and has negative consequences for the patient as well. It’s important to watch for the warning signs of caregiver burnout and take action right away when you recognize the problem.